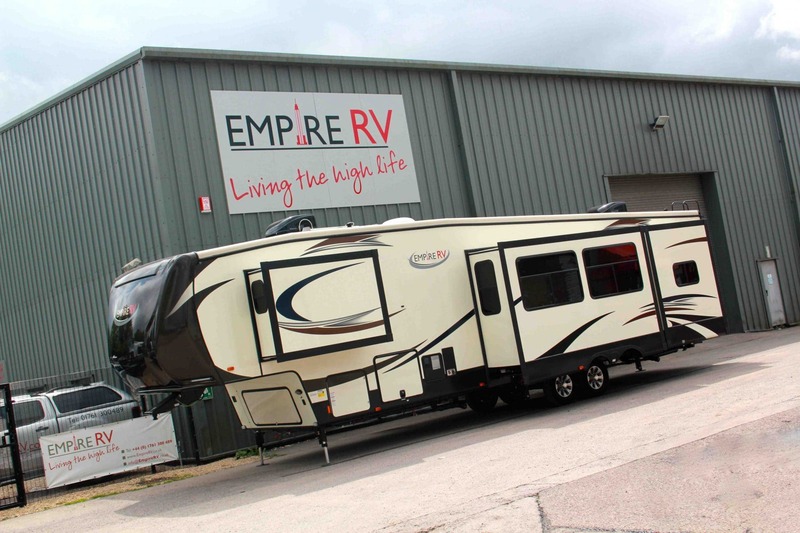 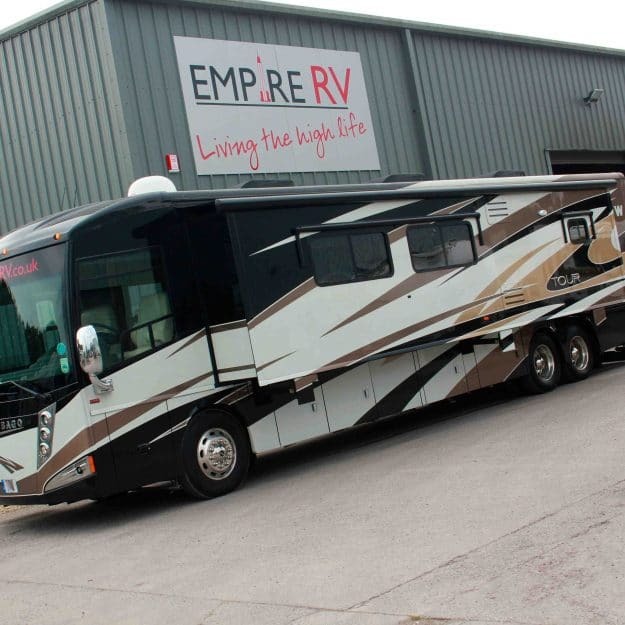 This massive Empire RV Resort Fifth Wheel RV has 5 large slide outs, sleeping up to 8 people with 2 full bathrooms! 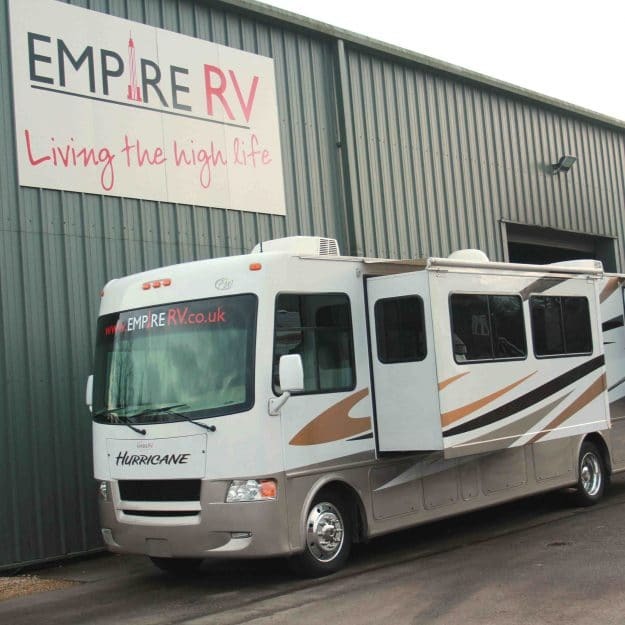 Welcome to our 2016 Empire RV Resort Fifth Wheel RV, with some great features and options selected with the entire family in mind when we designed this one. 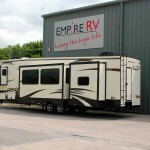 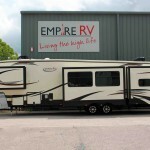 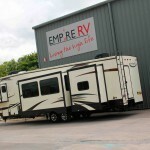 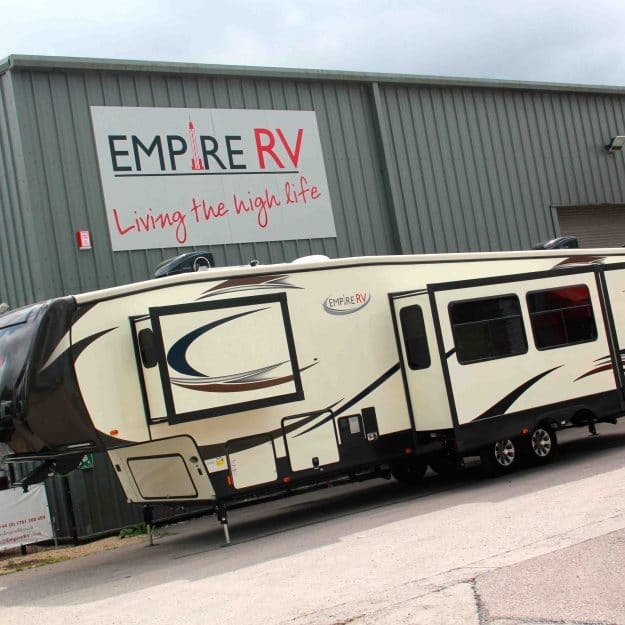 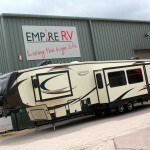 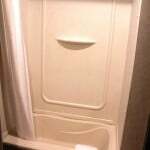 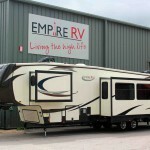 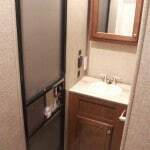 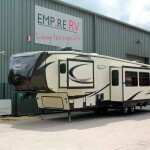 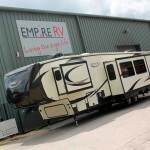 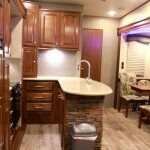 You can also buy this Empire RV Resort if the appeal is too much! 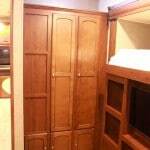 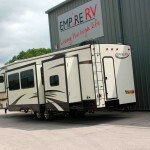 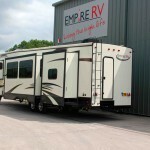 Another quad slide bunkhouse from Empire RV, sleeping up to 8 people! 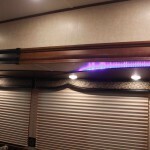 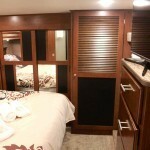 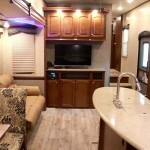 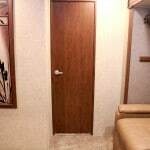 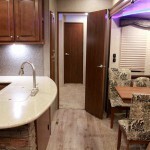 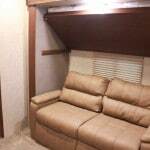 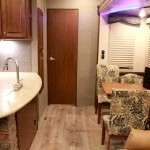 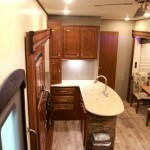 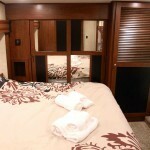 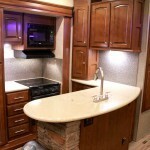 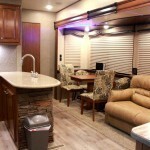 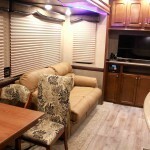 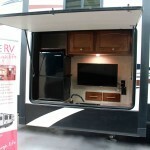 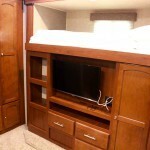 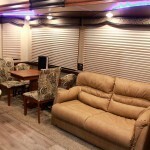 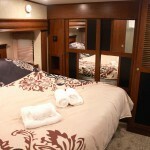 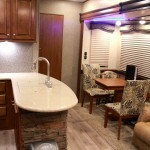 The Horizon RV has two huge slide outs with front kitchen area and massive TV in the lounge with comfy reclining chairs!